This is exactly what I had hoped for! Wet finishing made textured textiles out of flat fabric. One look at these pot holders and you know they have been through the washer and dryer. 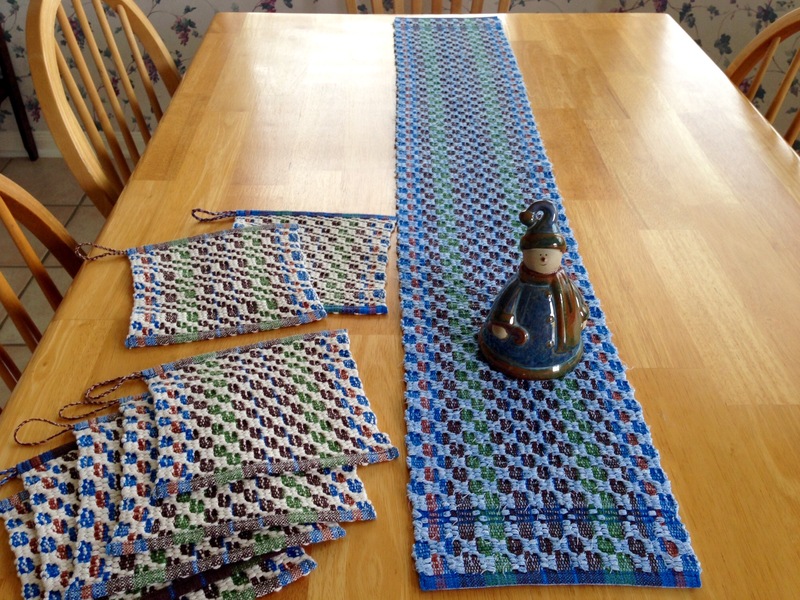 The rag weave table runner tells the same story. It’s true, wet finishing made positive permanent changes. 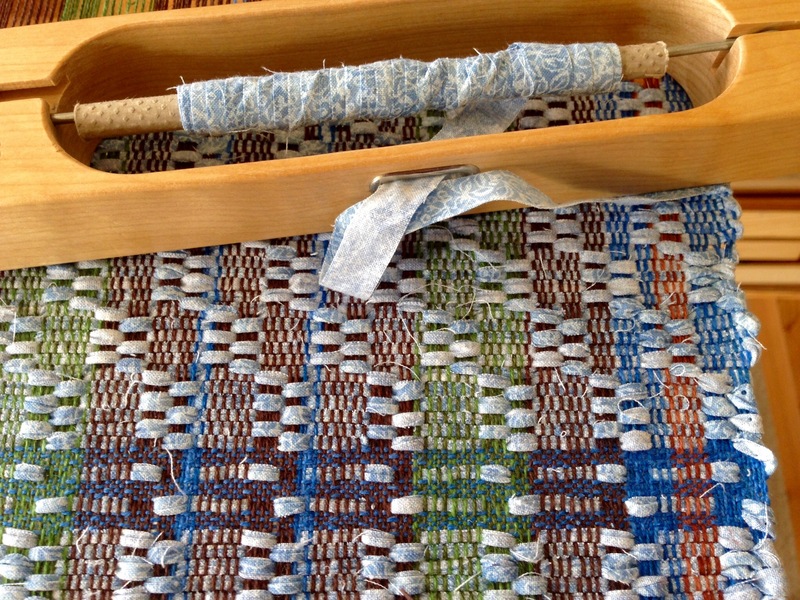 Rag weave table runner on the loom. M’s and O’s, with Cottolin warp, and narrow cotton fabric strips for weft. 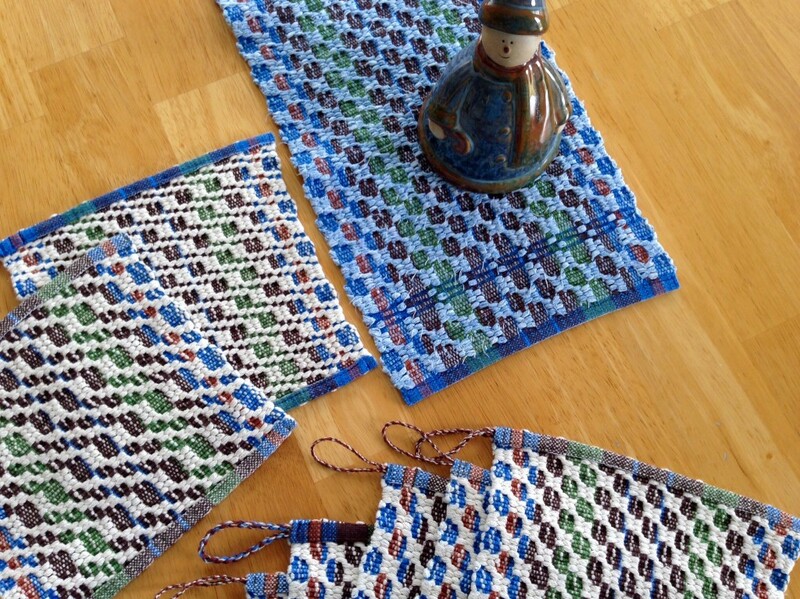 Time to celebrate cutting the pot holders and table runner from the loom. Textured textiles, after wet finishing and hemming. Twisted cording was added to pot holders for hanging loops. Creative treadling for two pot holders produced design variations. Christmas is a true story. Love came down. You have heard the story: Jesus came as a baby, grew up, and gave up his life to save us, all in the name of love. When this Jesus story is written on our hearts it changes everything. This love story is the wet finishing we need. It is the only thing that can truly complete us. Your life already tells a story. It is an open book that people read. When we let the Christmas story of God’s love shape us, the fabric of our life becomes characterized by the texture of love. May your loved ones enjoy reading “your” book. Thanks for mentioning the shop, Karen! People are noticing your rugs – have had many nice comments about them! Thanks, Debbie, that’s great to hear! How did you finish the mugrugs? Anne, I cut them apart, and then secured the ends with my serger. I then washed them in the washing machine on the regular cycle, with hot water; and then, into the dryer, on hot. After they came out of the dryer, I ironed them slightly, and pressed the hems. 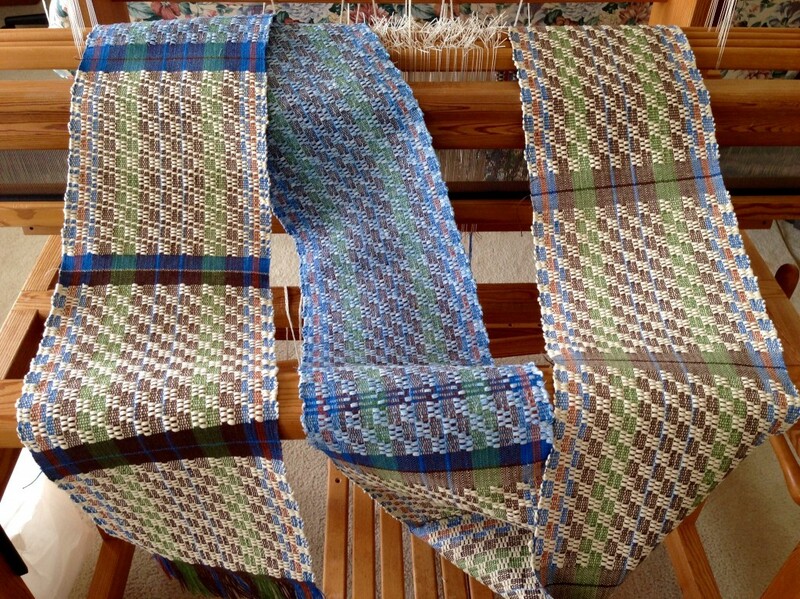 Then, turned the hems under and stitched them, adding a twisted hanging loom near the end of one hem. They are actually a little big for mug rugs, but just right for a hot pad on the table for a small dish, or as a light hot pad for taking something small out of the oven. But, now that you mention it, I think they would work fine as mug rugs, especially for large mugs. 🙂 I am about to list a few of them on Etsy, so I thank you for this new description to add.